I'm going to take a right turn for a minute and consider the concept of diffusion, where molecules that are highly concentrated in one area move to areas of low concentration. Molecules leak (figuratively) from one area to another. If you had a high school biology class or chemistry class, you've probably heard of this concept. Knowledge has a very similar property as it leaks as well, from areas of high concentration to low concentration. When you stop and think about it, this is a very intuitive concept. People value knowledge because of what it can bring to them. Increasing knowledge leads to better processes, leading to more value included, leading to a greater opportunity to create wealth. Wealth in this instance doesn't necessarily mean money, although that was Easterly's original intent, but it can mean project or organizational wealth as well. As our knowledge and understanding about how to work on and run projects increases, so to does the 'wealth' we provide to our employers. But this type of leak is not something that is a constant. Leaks must be continually monitored and invested in for them to be of use. If there is no new knowledge coming in to your organization, then no new knowledge can leak out to your project team. You can insert more knowledge into the system by utilizing training courses, reading blogs such as this, receiving additional formal education or even hiring in new individuals with a different background than existing team members. What your goal for using leaks should be to continually 'prime the pump' so that you are creating a virtuous cycle. You know you reached this point when you've put enough knowledge into the system and peaked the interest of enough team members that they start putting their own knowledge sources into the system without you needing to push as hard as you did at the beginning of the process. Lets go back to our diffusion example for a moment as there is one very important way knowledge is different from diffusion. In diffusion, there is a finite number of molecules to move in order to reach equilibrium, but knowledge is different. When knowledge leaks, it doesn't leave its source, but a copy is made. Now both source and destination have the same information; it has multiplied. Once it has copied, it can be copied yet again. Leaks build on themselves in a way diffusion never can. Have you ever wondered why there are so many doctors from India who reside in developed countries such as the US and Europe? Why has that one country exported so many of their very smart people when that country so desperately needs those smart individuals to stay at home? 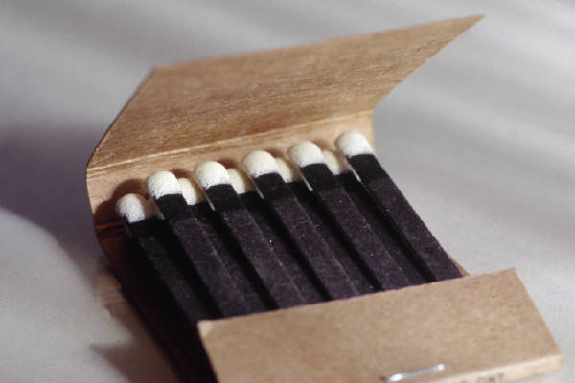 This is the concept of matches. The basic principle here is that workers of similar skill tend to clump together, to match their skill with others of similar skill level. The economic principle becomes apparent when you consider our Indian doctors. Once they have acquired their certification, they face a tough choice; they can stay in their country and make a relatively small amount of money or they can put their skills to use making a lot more money in a country that is set up to better support them. Doctors in the western world typically have a better office infrastructure, supporting personnel (nurses, office managers, accountants, etc) and technological advances (billing systems, electronic records, etc) that make it possible for a highly-valued individual to better use their resources. Another good example of matching is Silicon Valley. While its true that not all computer innovation comes from this one geographic region, just like not all Indian doctors leave India, an abnormally high percentage of innovative technology companies are located in this area because people of like skills clump together. Taking this further, because places like Silicon Valley have so many motivated, like-minded people, knowledge there leaks even faster than it does elsewhere. The internet is a phenomenal tool for moving and acquiring data, but being able to turn that information into knowledge and skills requires more than just an efficient means of communication. It requires people to intentionally put themselves in a place where they have the most opportunity for knowledge to leak and for those leaks to add the most value. For projects, we see this same concept. My very first project was a collection of the best and brightest individuals from all over an entire division of a fortune 500 company. We were brought together with the intent of creating world class processes and systems for the company. Those of us brought in were all highly motivated, knowledgeable and talented individuals (if I do speak for myself). Its no coincidence that we generally got along really well as we all had generally the same goals and desires. As Easterly would say, we matched. Probably the most difficult to stomach, for me anyway, section of this book was the few short pages on traps. While the concept isn't all that difficult, as it is essentially the opposite of a match, the example provided by Easterly hits uncomfortably close to home. While you can point to many places around the world that are trapped economically, its not just third world countries. Even the US has several regions with large traps and I happen to live adjacent to the largest one, Eastern Kentucky. People without an economic incentive to upgrade their skills will rarely do so on their own. Things get worse when those in their immediate area also have no incentive to upgrade their skills. Instead of a virtuous cycle mentioned in the leaks section, you get a vicious cycle where people are trapped into their current level of knowledge because there is no easy access to knowledge leaks. 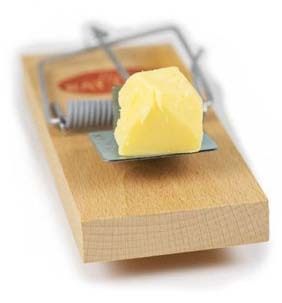 There are two ways for an individual to escape a trap: flee it or rely on outside assistance. Fleeing sounds great, but there are often many things outside of work that make people fearful or reluctant to leave the trap. Outside assistance is good, but only if it is sustained and correct for the trap. Regardless, it is highly unlikely that anyone can escape a trap without some type of external influence. Corporations often get trapped, just like people get trapped. Think about what happens when a new CEO, with different policies and business plans takes over an established business. Often times the top talent flees due to the uncertainty brought about by such a change in the direction of the company. Unless that new CEO can attract and retain talent, they are on a path down a vicious cycle from which they will have a great deal of difficulty exiting. Closer to home, we see this in projects. It is never enjoyable to be on a project with resources who don't have the skills and abilities to be successful. Those projects, if they do reach completion without being put out of their misery first, have for me always been over budget, late and under-delivered nightmares. So how would you apply the theories of Leaks, Matches and Traps to your project team? Let me think on my current experience. I have encouraged the team to adopt a philosophy of continuous learning. It seems to infect people one at a time, and even then there are several levels to move through before the effort (for me) starts to diminish. One thing I particularly like is that the team have set aside Wednesday for a lunch box session where they share their knowledge with each other. That's one of my favourite things this team has done. this is actually a problem for me and my team as we have different talent levels, and that affects the team members relationships, especially their respect and trust levels. A particular hard part of my job. For us this one is environmental - it's an attribute of where we work. I suspect people stay here not because they love the work, but because they fear change.